Everything was wonderful! The best hosts ever. Frini is auch a warm and loving person. The view is unbeatable, just stunning! You need to get used to the roads, they are very steep. But totally worth it. The apartment was well kitted, comfortable with the most magnificent views! The Host was one of the friendliest we‘ve ever met. It was very clean and the view was amazing! EVERYTHING about Frini’s property (‘O Stolio’)was wonderful - the view; the size and set-up of the apartment; the kitchen equipment; the cleanliness. But best of all was Frini herself: the most kind and friendly hostess I have ever had the good fortune to encounter. She went out of her way to assist my husband and I in every way possible - from advising us as to great restaurants and the hiring of a car, to assisting us with the printing and scanning of our business documents, to having our clothes laundered (at no extra charge). We were treated like well-loved family members for the duration of our week long stay. Wonderfully kind and warm host, Mrs Frini, met us at the ferrry port and kindly drove us into town several times. Stunning views from our delightful, private, quiet suite -- with outside space, a good kitchen and a lovely space to spend time. We'll definitely be back. The owners were very warm and friendly, the premises built and decorated with very nice taste and the view incredible. Great host Stunnig view Nice rooms Couldnt have been more satisfied with our stay! Stunning view in a place engulfed in nature. 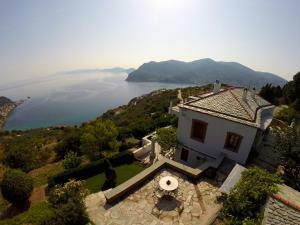 Located 5 min drive from Skopelos town, yet it seems like you live in your own island. Ms Fryni welcomes guests, always smiling and helpful, in a place with gardens surrounding every space. The double deck room was spacious, very clean and quiet. Parking is comfortable, in an island where parking can be a trouble. Lock in a great price for O Stolios – rated 9.9 by recent guests! 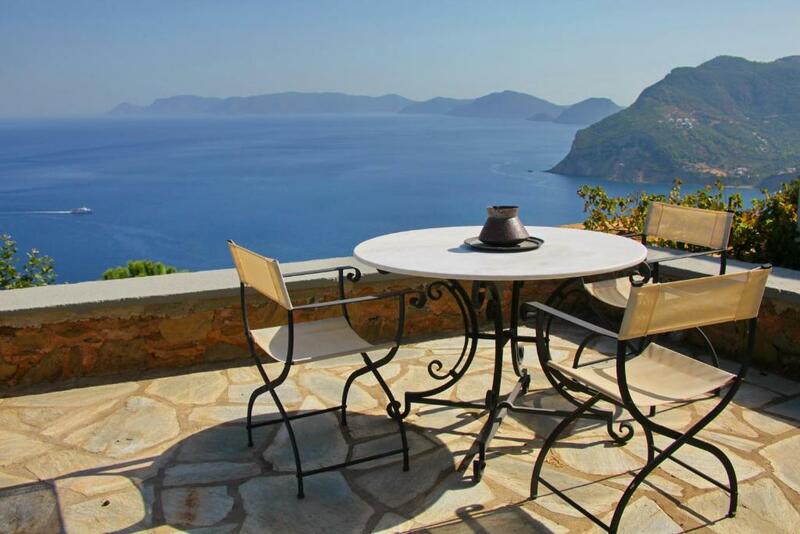 One of our best sellers in Skopelos Town! 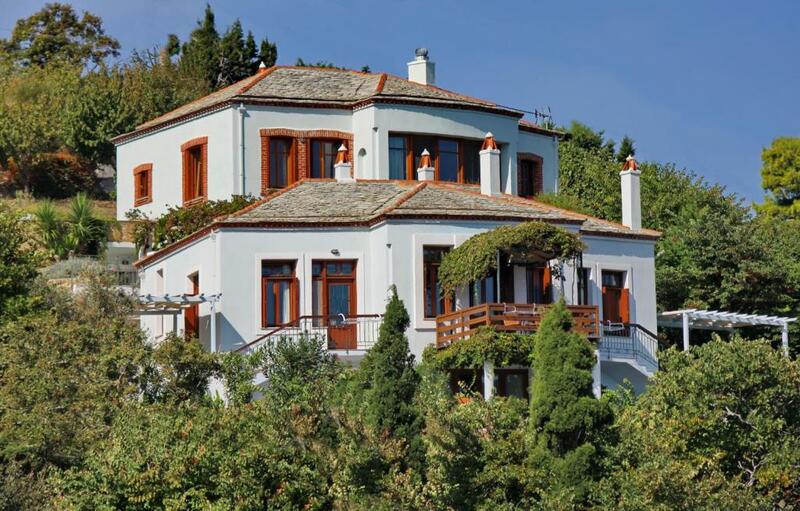 O Stolios is located in Skopelos Town at a distance of 2.2 mi from the port. 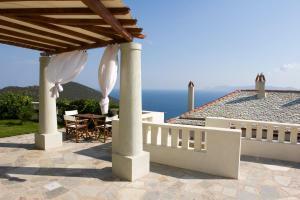 It features a garden and a stone-paved sun terrace with panoramic views over the Aegean Sea. Free Wi-Fi is available in all areas. All self-catering units feature a traditional decoration and come with a sea view, air conditioning and a TV. They also have a kitchenette or kitchen with a fridge. Bathrooms come with a bath or shower and a hairdryer. 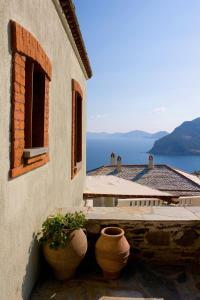 Various taverns and bars can be found in Skopelos Town. 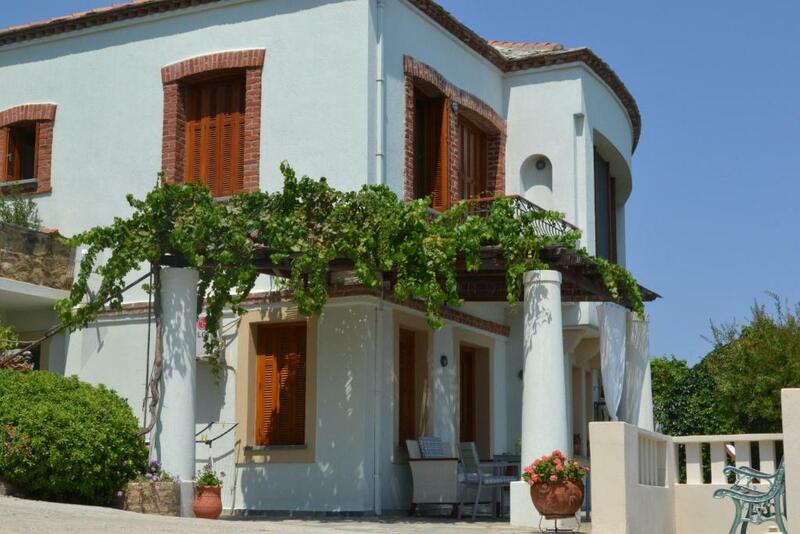 Glysteri Beach is 1.2 mi away from Stolios, while the village of Stafylos is within 4.3 mi. Free private parking is possible on site. This property also has one of the top-rated locations in Skopelos Town! Guests are happier about it compared to other properties in the area. When would you like to stay at O Stolios? Please note that the 4th guest sleeps in a roll-away bed. This studio features a kitchenette, oven and private entrance. - a double bed in the attic and a sofa in the living room. 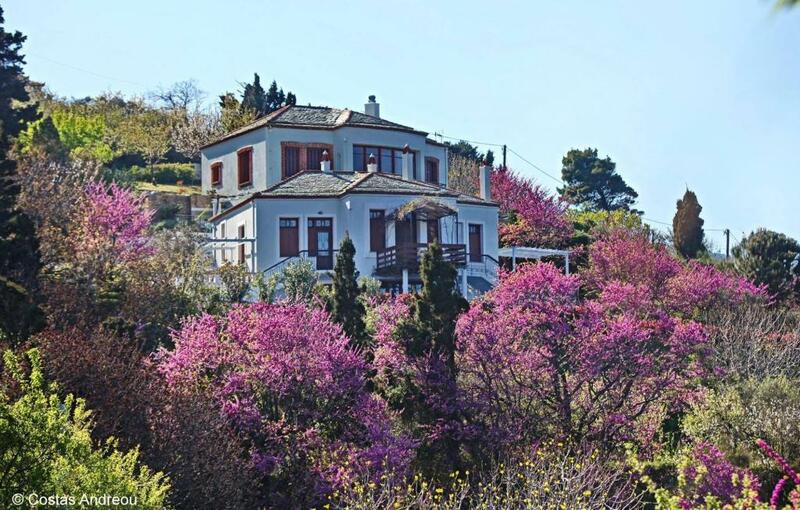 O Stolios apartments is ideal for couples, small families and people who like calm & peaceful vacations, off the touristy track. Traditionally built , at a hill slope, surrounded by forest and courtyards, it is at a distance of 3.6 km from Skopelos' main port and at a considerable distance from Skopelos' nicest beaches and worth seeing places. Therefore a small car or a motorcycle is highly recommended. The view is magnificent from every corner of the house. The balconies, the gardens and the terraces of the apartments look over the Aegean Sea. The conception of Stolios, as it really happened I sat down on the dirt - the dirt of this plot they were selling me. Amidst the sweet morning calm, I silently awaited...a sign Absentmindedly, I started humming a tune: "Let the little boat sail on and on, as far as it's white sail will take her, and if it brings us to the open seas, I shall be there holding your hands...let the little boat sail on and on, for this world has no end"...I sensed the earth's gentle shudder, the scent of the flowers, the quivering of leaves. 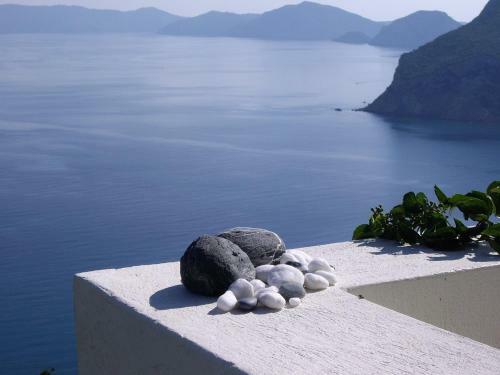 I opened my eyes to the sky's endless blue and lost myself in the infinity of the Aegean sea. Here, is where I'll house my dream, and so Stolios was made. It's building blocks: Dreams and my soul's desires. House Rules O Stolios takes special requests – add in the next step! O Stolios accepts these cards and reserves the right to temporarily hold an amount prior to arrival. Please let O Stolios know your expected arrival time in advance. Please note that Internet connection is not always stable. Please inform O Stolios of your expected arrival time in advance. You can use the Special Requests box when booking, or contact the property directly using the contact details in your confirmation. The mattress was not super comfortable. The owners kept stray cats at the property, we counted 15. They were everywhere and at times annoying. Beautiful setting great for the morning sunshine. Quiet location with outstanding sea views. Accommodation maintained to a high standard. The gallery bedroom was superb. Hosts were very friendly.